Though writing seems quite boring to many people but as a matter of fact, it is the most interesting activity for those who like to write. Writing can be done on a regular basis for relaxing the mind as well as earning purposes. Unfortunately, even though a number of people like to write, they don’t optfor it as a career due to lack of related information. In fact, those who choose writing passionately as a profession, like me, have to constantly answera typical question: ‘Why did you become a writer?’ Today, this frequently asked question will be answered as I’m going to describe 10 inspirational reasons that made me a writer. 1. Imaginations come to Life! Writing has no boundaries or restrictions. It is like living a fantasy life in which I can do whatever I want or be whomeverI like. This activity brings imaginations to life and allows me to experience mydreams in the real world by using words. 2. It’s a time for some personal therapy! Another good reason for meto become a writer is that I can enjoy some personal therapy in the form of writing. Being a writer, I take out my inner frustrations by typing up all my problems on a screen. Writing triggers my mind’s activities and improves its analytical skills as well, all of which is essentialforan effective therapy. Attending office regularly can be quite hectic, right? Well, writing gives me this amazing benefit of choosing myown workplace, which can either be a coffee shop or the beachside. This profession doesn’t restrict me to a small cabin of a boring office because an active mind and a fresh environment is the foremost requirement of this job. 4. I set my working hours all by myself! Being a writer, I enjoy the opportunity of setting working hours according to my regular routine. It all depends on me to decide whetherI want to work continuously for long hours or take short breaks in between. Moreover, being a night owl, I get to enjoy writing late at night and face no time restrictions. 5. Inspiration from other authors! Reading the famous books of other authors also inspired me to become a writer. Their thought provoking content stirred me up and urged me to bring out my thoughts and opinions through writing. 6. Earnings in comfy PJs! The biggest reason for me tobecome a writer is that I can earn a handsome amount without even changing my comfortable PJs. As I don’t have to attend an office or meet clients, I can stay in mypajamas in my bed and continue with writing in a relaxing mode. 7. Change comes with pen’s ink! Enthusiastic people, who desire to bring change in the society, use the power of pen’s ink to highlight its corrupt features.So, I also became a writer to educate people and bring a positive revolution within my community. To write innovatively, prior research and thorough reading is much important. This is one of the reasons why I became a writer, as besides earning a living, I also get to add to my knowledge frequently. 9. Vacations – whenever I want! The top reason for me to become a writer is that I am my own boss and can have holidays or vacations any time of the year, whenever I desire. 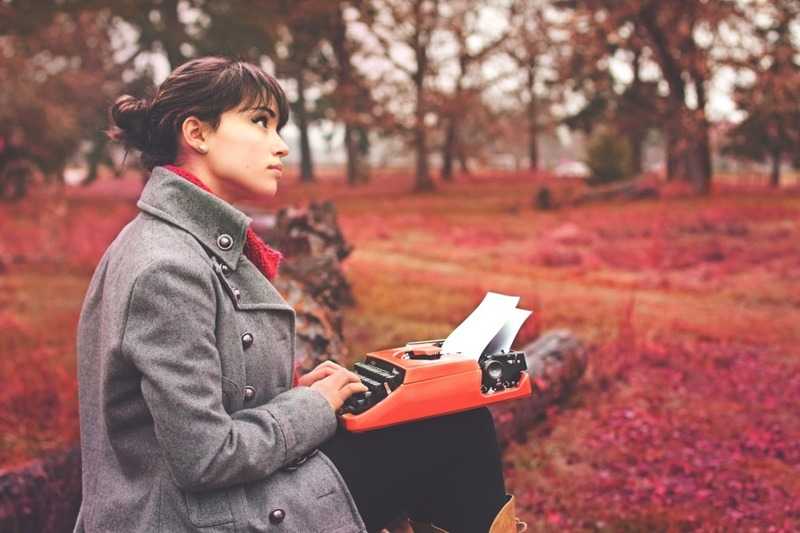 In addition to many other benefits, writing comes with a privilege. A writer is seen as anhonorablescholar who influences the lives of readers through his/her written content. This is also a reason for me to become a professional writer, as I wanted to earn some fame with respect. This article is written by Jacob Arch. He graduated in English Literature from Buckingham and currently working as a writer and a teacher at Assignment Square Writing Services Online.